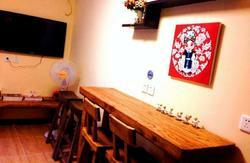 Welcome to Home of the Great Wall, the ideal holiday house for your stay at the Mutianyu Great Wall. 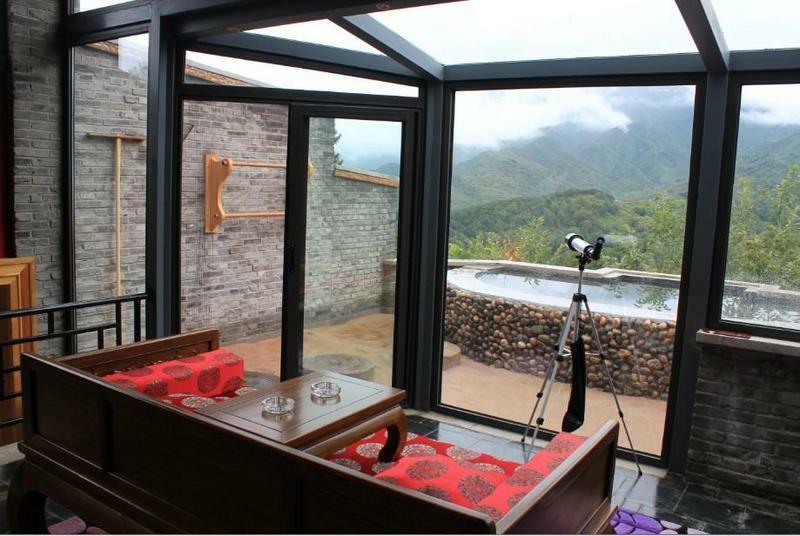 Perched on a hilltop with spectacular view of Mutianyu Great Wall, Home of the Great Wall is the perfect location for escaping the busy Beijing life. Fresh air, luxuriously decorated rooms and villas and excellent service will make your stay at Home of the Great Wall unforgettable. We are located at a 6 minute drive from Mutianyu Great Wall and we offer entrance tickets with a 20% discount. Home of the Great Wall is divided into two parts. The first area is at the foot of the hill, including 60 standard rooms and a XinShuangQuan style restaurant that seats up to 1500 people in a spacious and refined environment. The second part is located on top of the hill and features two villas, two hill-view houses, three country villas, a presidential suite and 12 standard rooms, in which a total of 74 people can be accommodated in a luxurious and elegant style. Furthermore, it includes a Western style restaurant with a stunning view of the Great Wall and fabulous outdoor terrace. For a fast lunch or snack and refreshing beverages, you can visit the Subway restaurant in the east of the third parking lot of Mutianyu Great Wall. We are looking forward to welcoming you at Home of the Great Wall! If you are familiar with the route, please drive towards Mutianyu Great wall. 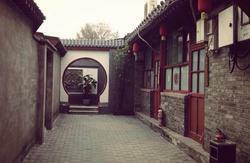 You will find Home of Great Wall restaurant is located along the main road leading into Mutianyu. If you are not familiar with the route then please follow the directions below. *Please note that you dont have to go as far as the urban area of Huairou. Home of Great Wall is at the southwest of the roundabout at Mutianyu, and only six minutes drive from the parking lot at the Great Wall. Please follow the directions to Chengde (承德) on the Beijing-Chengde Expressway, and take exit #13 named 'Beitai Lu' (北台路) (toward 'Kuangou'/宽沟) off the Expressway. Passing 3 traffic lights, please keep driving in the direction of Kuangou (宽沟) and you will see a brown sign board reading 'Mutianyu' (慕田峪). Please turn right towards Mutianyu , and you will pass through 2 villages. After driving for about 4.2km ,you will see above a blue sign reading 'Beizhai' (北宅), a lot of trees on your left and a drying river on your right. Please continue along this main road. After 2.7km you will pass the 'Goose and Duck Ranch' (鹅和鸭农庄) on your left and you will see 'Huairou Tourist Information Centre' (怀柔旅游信息中心) coming up ahead. Please stay in the right lane of the main road. Shortly after this point you will see the gate of Ren Ji Golf Hills (人济高尔夫山庄) on your left, pass it and continue drive to Mutianyu (慕田峪), which, as the sign indicates, is 15km ahead. Please slow down through the village. About 4.2km past the Ren Ji Golf Hills, you will come to an obvious T junction, please turn left to 'Mutianyu' (慕田峪) and you will see a sign which says 'Welcome to Bohai Town' (欢迎来到渤海镇). Continue for about 9km along the main road and you will see Home of Great Wall's logo on your right hand side. Turn right and follow the road up the hill to our parking lot. From April to November (high-season) there is a direct bus BUS 936 which leaves from DongZhiMen station and goes directly to Mutianyu Great Wall. Bus 936 departs at 7:00, 8:00 and 9:00 am. The same bus leaves Mutianyu at Parking Lot 3 at 2:00, 3:00 and 4:00 pm to go back to DongZhiMen directly. Bus 916 to HuaiRou leaves from DongZhiMen station every 10 to 15 minutes. Once you arrive in Huairou, ask the driver to let you out at BeiDaJie (北大街). 1) Take a taxi to Mutianyu. 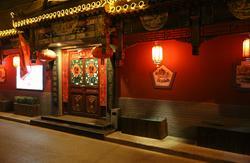 Ask the driver to take you to XinShuanQuan Restaurant, which is at the foot of the hill where the resort is located. A one-way trip with a private taxi should cost no more than RMB 60. 2) Cross the street and take bus 916 to DongTai which goes to the Mutianyu Roundabout. Once you arrive there you will see the hotel logo on your right hand side. We are looking forward to welcoming you at The Home Of The Great Wall!